Our friends' group has been suspended due to lack of participation. If you are interested in restarting out group please contact the library! The Friends of the Port Library was a library support organization dedicated to providing service and aid to the mission of the Port Library. The group started in November 2010 and existed until 2017. During the year the Friends group held used book sales. If the group re-forms, membership is open to anyone interested in the Port Library, regardless of physical location. Annual dues were $5. 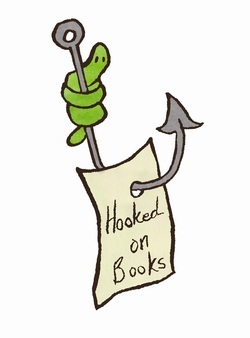 "Hooked on Books" graphic created by Kateland Miltner. Used with permission.